When you think of a street, what comes to mind? Is it cars, traffic, transport, shrubbery, lights, or people? Streets are one of our most fundamental shared public spaces, but in fast-paced cities, they can feel like thoroughfares to and from the workplace or to our next appointment. Imagine, though, a future where our streets become a destination worth visiting, and are somewhere built for human interaction and connection: a bringing together of community and culture. Well, now we can. 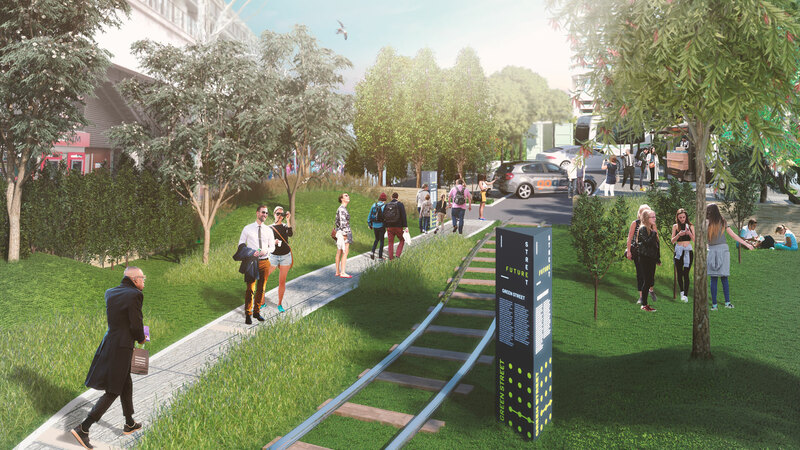 The Future Street project, launching in Sydney by Assistant Minister for Cities and Digital Transformation Angus Taylor, challenges us to imagine a street landscape of the future, integrating green interactive spaces with technology. The installation on Alfred St is a part of the Australian Institute of Landscape Architects (AILA) International Festival of Landscape Architecture—a four-day celebration, dubbed “The 3rd City”, starting 12 October 2017. Newly appointed AILA CEO, Tim Arnold, believes the festival will stretch the community’s thinking, beyond what we traditionally know and see. 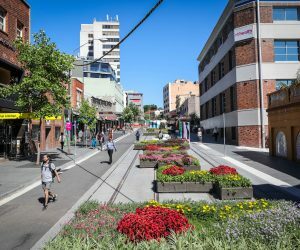 “As an example, Alfred St will be completely transformed to show different aspects of what urban landscape design, infrastructure and technology can do. “From futuristic tech hubs to automated cars, from sustainable herb gardens to nature playgrounds for kids, it will expose Sydney-siders to a new way of living and interacting. “This is a glimpse into what our streets could become, and how we could interact with our built environment in a more productive way,” said Mr. Arnold. “A good street is a place that prioritises people over cars and this is part of what the Future Street highlights. “The Future Street takes you on a journey through the green street, complete street and smart street, and via virtual reality goggles, you’ll be transported to 2037 and the street of the future,” he said. 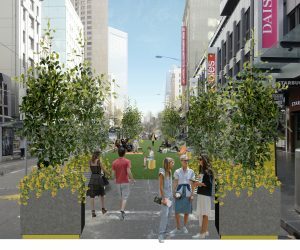 Beyond Future Street, the festival is set to be the largest gathering of landscape architects in Australia, and is the fourth edition of the festival. Over 600 landscape architects are expected to attend the two-day international conference as well as the prestigious 2017 National Landscape Architecture Awards (12 October), celebrating the best in landscape design. This free event, combining colourful interactive workshops with active learning and play is designed to challenge children to express their own ideas about the landscape we create and live in. A transformation of The AMP Towers precinct will use repurposed industrial materials and greenery to promote relaxing spaces to enjoy and catch up with colleagues and friends. Additionally on October 11, AILA is hosting the Idea Bombing event, a community brainstorm complete with a pop-up bar to discuss if our streets can become farms of the future. To celebrate how significant parks and open spaces are, a national jury has selected a range of projects as the top parks changing Australia which will be on exhibition at the AMP forecourt.